A few days ago it was my 21st birthday and we were in Çanakkale to see the Gallipoli Anzac battlefields. While some people may initially think this is a somber way to celebrate a 21st, I am so privileged to be in Turkey and to see and learn about one of the biggest events in Australian history. It was really special to experience and Julia and I had so much fun along the way. Seeing so many memorials to ANZACS, British, Indian, and Turkish soldiers who were 21 (lots were younger) when they were killed, it really brought home how tragic the loss of life was and always will be - especially for the little or no gain achieved. 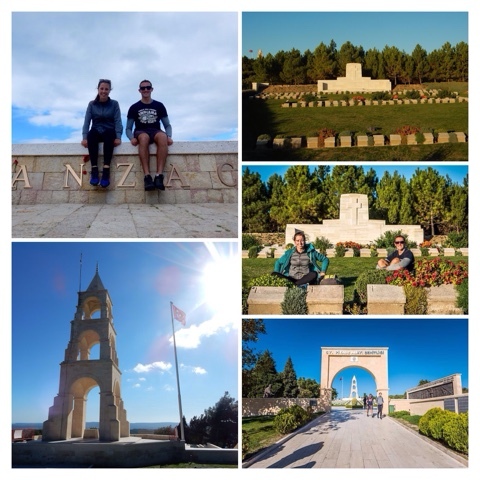 This post will be about our adventure seeing the ANZAC Battlefields as well as providing information to those who will go in the future.